Google wasn’t able to make Glass the runaway success it thought it could be, but maybe Sergey and Larry were just targeting the wrong demographic. 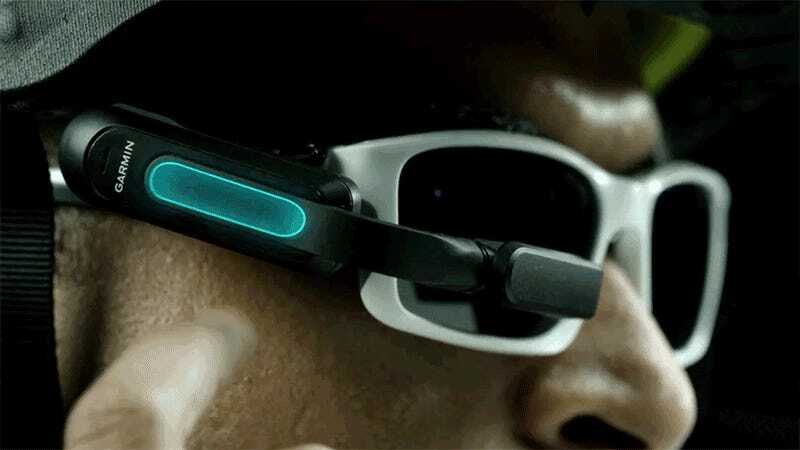 Garmin is hoping its new Varia Vision, which can attach to any pair of sunglasses, will appeal to gadget-loving cyclists. Weighing in at just shy of 30 grams with an eight-hour rechargeable battery inside, the Varia Vision can clip onto either side of a pair of sunglasses, putting a compact heads-up display at the edge of a cyclist’s field of view so they don’t need to glance down at their handlebars and away from the road ahead. If you’re just out for a leisurely Sunday afternoon ride around the neighborhood, the $400 Varia Vision is certainly not a must-have biking accessory. But for cyclists who compete, train, or just rely on their bikes for commuting in a crowded city, the heads-up display can provide everything from turn-by-turn directions to performance metrics like speed, distance, and cadence. It even offers up messages and notifications while it’s paired to a smartphone. It does almost everything Google Glass did, complete with a touch-sensitive strip on the side, for navigating the device’s UI, that works with wet fingers or while wearing gloves. And because it’s part of the company’s Varia line of cycling devices that was introduced in July of last year, the Vision can also connect to the Garmin Rearview Bike Radar and notify the wearer of a car coming up behind them so they can ensure they’re not riding in its path. Is this a better fit for the technology that Google Glass was trying to convince everyone they needed? Seems like it. Sharing the roads with cars and drivers who are rarely cyclist-friendly is a dangerous endeavor, and anything that can help keep a rider alerted to hazards without taking their eyes off the road can only improve their chances of a safe ride.